Ten June: A Natural Fall Front Door Wreath & A Wreath Giveaway For You! 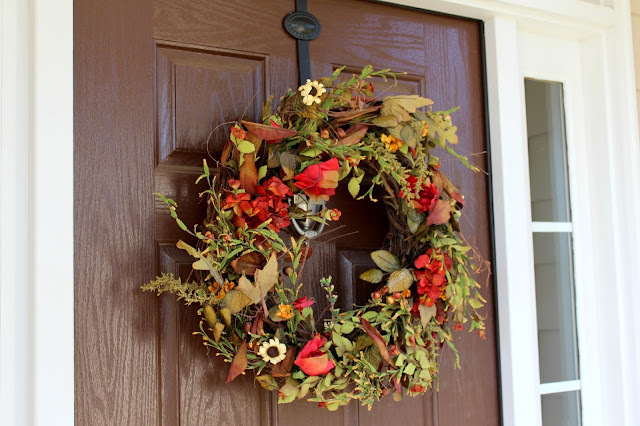 A Natural Fall Front Door Wreath & A Wreath Giveaway For You! *Update: This giveaway is now closed. The winner is #57, coupleoftravels.com! Please send me your email address and I'll forward to my friends at The Wreath Depot to get you your wreath. Congratulations! Hey guys, hope you had a great weekend! In between hosting my little sister a couples wedding shower and unpacking boxes around our new house, we started getting our fall on around our casa. Since all of our new neighbors already have their fall decor out, one of the first things I did was to hang our new front door wreath. This beautiful hand-crafted wreath is from The Wreath Depot. They have a seriously beautiful selection of front-door wreaths available for all seasons. I opted for a more natural, subtle autumn look this year, which is much different from my bright red and orange leafed fall wreath from years past! I love the sweet natural elements like moss and dried leaves. This hand-crafted piece is seriously a work of art! And I couldn't be happier with the quality. My new neighbors are going to think we're pretty fly : ) Heyy, heyyyyy. Want a hand-crafted Wreath Depot fall wreath for yourself? The folks over at Wreath Depot has offered one of you the same Autumn Fields wreath (an $80 value!). All you have to do is leave a comment on this post sharing your favorite thing about fall. Simple enough! If you Instagram, Facebook or tweet about the giveaway, leave a separate comment for each mention for additional entries (don't forget to tag me, @tenjuneblog, in whatever social media you use!). The giveaway will be open through midnight on Thursday, October 17th, 2013. Good luck! Happy fall, y'all. My favorite thing about the Fall is the apple cider (and apple cider donuts, of course!)! I love the leaves changing colors- so pretty!! Open windows and the crunch of fallen leaves. smells..wood burning, crisp air and pumpkin spice lattes!!!! Beautiful wreath! My favorite thing about fall is how beautiful all the trees look with the red, yellow and orange leaves! I love college football and relief from the Texas heat! I love all the changing of the leaves and the crisp weather! Fun giveaway...the wreath looks great! I love fall walks with my family. my very favorite fall event would be our family's annual cider press with an antique press my great-grandfather made! there's just nothing like fresh-pressed apple cider!!! I love the cozy sweaters and boots. Love fall activities like pumpkin picking and hayrides too! My favorite thing about fall is the cooler weather, Halloween and my birthday! I love Fall food! Apple pies and pumpkin everything!! This wreath would look amazing on the front door of our new house! It's our first fall in our first house and we couldn't be more excited. 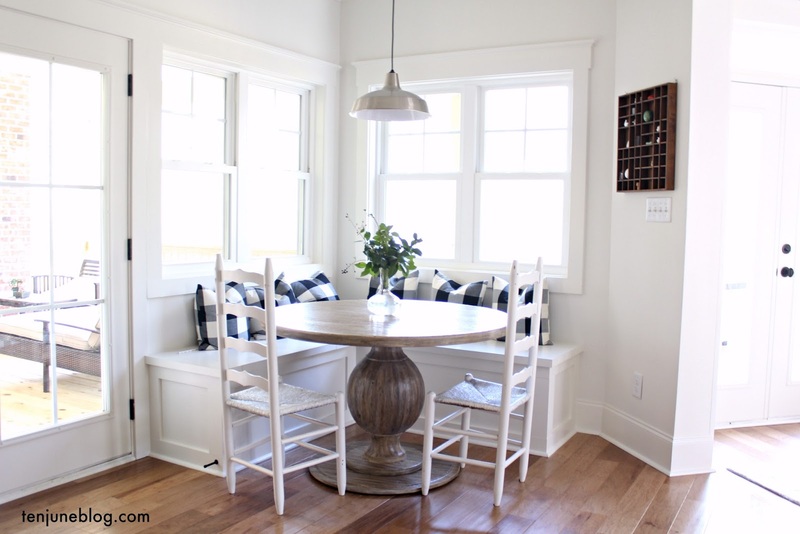 I love this time of year- sunny days, crisp evenings and more time spent at home. The cooling weather and trips up to Burt's Pumpkin Patch and Hillcrest Orchards! Beautiful wreath! My favorite thing about fall is fresh Macoun apples! LOVE the smell of burning leaves. October is my favorite month just for that. May I mention more than one thing? If so, the weather, my birthday, and the beautiful colors of the leaves changing! I Love scarves and boots weather! I love that fall is a season of change. It makes me want to get my "spring" cleaning done now, organize my office, and sharpen a bouquet of No. 2 pencils. I just love the change that fall brings! I love the crisp weather, the smell of the air and the colors! Turning on the fireplace! Yes, I am a fan of flipping a switch for glorious, on demand heat here in Minnesota! Pumpkins, Pumpkins and more pumpkins! (oh, and Apple cider). Pumpkin candles are my favorite! Sept 1 of every year I bust them out! This wreath is so pretty. My favorite thing about fall is the colors. I love being able to wear layers and cozy up with a soft, warm throw! I love that Fall is the start of baking season! I love to bake, especially with apples and pumpkins! My favorite thing about fall is the return of pumpkin! Pumpkin spice lattes, pumpkin muffins, cookies, pie...Mmmmm! I love crisp mornings with scarves and sweaters and boots and mugs of coffee! I love the cooler weather! FL girl here so you know it's not "cool" by any means but definitely more enjoyable! I love the excitement the fall season brings - excitement of changing color of the leaves, football, cooler weather, pumpkins, mums, baking of pies, cookies and cakes....AND pumpkin spice lattes!! The change in weather, food, and clothing! I love the cooler weather and warm comfort foods. Has to be the weather!! Fall is my favorite! Sipping a pumpkin spice latte while enjoying the lovely leaves changing color! Lovely! I definitely want to try this at home.